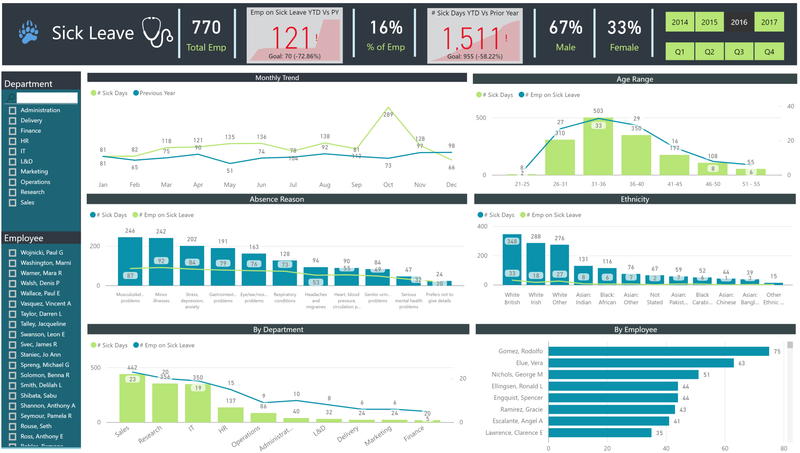 This Power BI Human Resource Solution focus on finding patterns and trends in employee sick leave across various key dimensions. It answers questions like, “Which departments, months or ethnic groups have the most sick days?” and “What are the most common absence reasons?”. This Power BI report is fully interactive, allowing you to easily visual the relationship between the various dimensions.